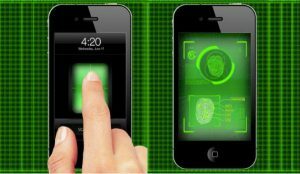 Can the Police Compel You to Unlock Your Cell Phone Using Your Password Or Your Fingerprint? Can the Police Compel You to Unlock Your Cell Phone Using Your Password Or Your Fingerprint? – One of the most fascinating issues that remains unclear as of 2017 in the area of the Fourth and Fifth Amendments to the Bill of Rights, is the question of the authority of a Judge issuing a search warrant for a cell phone to compel the owner of that cell phone to provide access through either or both a password or passcode or a biometric fingerprint. The interplay of the Fourth and Fifth amendments in this area is nothing short of fascinating. Can the Government legally compel a criminal defendant to provide the password to his or her encrypted computer – and if so – under what circumstances? Only a couple of cases have addressed the issue and one of them is out of Colorado – United States v. Fricosu, from the District of Colorado. In 2012 United States District Court Judge – Robert Blackburn – (one of the finest minds on the Tenth Circuit Federal Bench in my opinion) decided U.S. v. Fricosu (No. 10-CR-00509 D. Colo. Jan. 23, 2012). In that decision, the Judge ordered Ramona Camelia Fricosu to provide an unencrypted copy of her hard drive to the US Attorney’s Office. The case was somewhat unique and may be limited to it’s facts. The Fifth Amendment protects a person from being forced to be a witness against himself in a criminal case. This is generally known as the right or “privilege” against self-incrimination. The right against self incrimination will not stop the government from conducting their investigation it only stops them from compelling a suspect’s help in gathering the evidence they will attempt to use against that suspect in a criminal proceeding. The gravamen – the core of the Fifth Amendment privilege protects a person from being forced to produce communications that would reveal the contents of that person’s mind. There ARE ways around the Fifth Amendment. The Government can compel self incrimination if immunity is given which matches the scope of the protected right in any given case. In the event immunity from prosecution is given – the information sought is no longer incriminating. The second way the Government can “bypass” the Fifth Amendment privilege is where the Government already knows about existence, location and possession of the evidence itself. In this instance compelling the release of that evidence to the Government reveals nothing new and – again – is not incriminating to the suspect. 1. The Government executed a search warrant at Ramona Fricosu’s house while investigating fraudulent property transactions. 2. They seized a laptop computer with an encrypted hard drive but could not break the encryption. 3. The US Attorney filed a motion with the court, asking for a Order to compel Fricosu to enter the password and decrypt the drive. Quick Aside: What Is The Punishment For The Person Who Refuses To Comply With A Court Order To Decrypt A Computer? When a Judge orders an individual to – in the case – “decrypt” a hard drive, the remedy for refusing to comply with the Court’s order is typically “contempt of court.” Refusing to obey a lawful Court order means a trial judge can hold you “in contempt” – where the risk of disobeying the Court Order means going to jail or prison usually – until you comply. Can the Police Compel You to Unlock Your Phone Or Computer Using Your Password Or Biometric Fingerprint? Scenario 1 – The Government obtains a search warrant to search a cell phone. The warrant compels the owner of the phone to provide a “biometric” fingerprint to unlock the phone. The owner of the phone, a suspect in a criminal case, refuses to provide the fingerprint. Is this a violation of the Fifth Amendment? Scenario 2 – The Government obtains a search warrant to search a cell phone. The warrant compels the owner of the phone to provide a “passcode – password” to unlock the phone. The owner of the phone refuse to provide the passcode – password. The answers to these questions were recently addressed in the case of Virginia v. Baust. Under Scenario 2 – A Court Order requiring the disclosure of a passcodes / password – which requires that the suspect speak or say what’s ‘in his or her mind’ to law enforcement IS a violation of the Fifth Amendment. The non-testimonial nature of the fingerprint is the same as a Court Order requiring a bank robbery suspect to cooperate in a physical lineup or to say the words allegedly spoken by the robber.